As a reminder, you must be working for a Montana public school district to work for Montana Digital Academy. Temporary positions like substitutes do not qualify. Montana Digital Academy seeks LEAD TEACHERS to assist in directing course curriculum selection and development as well as teaching the first section of the course each semester. MTDA Lead Teachers work with the MTDA Assistant Director/Curriculum Director to evaluate curriculum and mind provide oversight to all sections of the course to guarantee consistent, high quality, standards-based instruction. The position may require contract work during the summer for curriculum development when needed. Positions are open until filled. MTDA seeks Credit Recovery Coaches for future semesters to work with MTDA Connect, our flexible credit recovery program. Read the job descriptions below as well as the teacher compensation information. Send a completed application as well as a current resume/CV and a letter of support from a supervisor to the email below. All positions are open until filled. 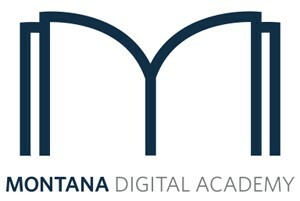 All application materials must be emailed only to workwithmtda@montanadigitalacademy.org. 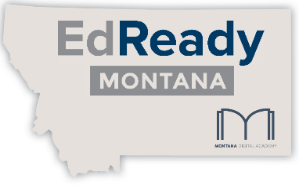 All questions about the teacher application process should be directed to Jason Neiffer, MTDA Assistant Director/Curriculum Director, 406-203-1812 or jason.neiffer@montanadigitalacademy.org.